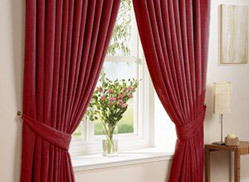 MK Curtain Group is a curtain supplier company located in Klang, Selangor, Malaysia. We are highly specialized in the curtain field. MK Curtain Group’s core activities are in the production, supply, distribution and retail of textile goods for everything from homes to premium large-scale developments. 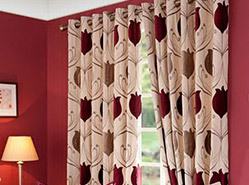 MK Curtain Group also engages in wholesale trading of textile goods and other related products. By having full control over the entire supply chain, MK Curtain Group is therefore able to retain a competitive edge over the rest, especially in terms of quality and pricing. Harnessing our ample resources and industry know-how, we at MK Curtain Group have always strived to realise our permanent goal to create products and provide services that cater towards all market segments and income levels. Today, MK Curtain Group is boldly embracing a new era in its development. We have undergone a phase of restructuring and rebranding and have now emerged as a conglomerate group of companies which engage in various industries. We at MK Curtain Group believe that this reorganisation is necessary in order to become more competitive and to achieve our goal of becoming the premier textile manufacturer and interior décor specialist in the Asia-Paciﬁc region.